I have been watching what I eat for almost 100 days now and not ONCE have I had to sacrifice taste for health. This is one of those amazing, go-to breakfast recipes that I will likely use over and over again as not only did I love them, but so did my kiddo! 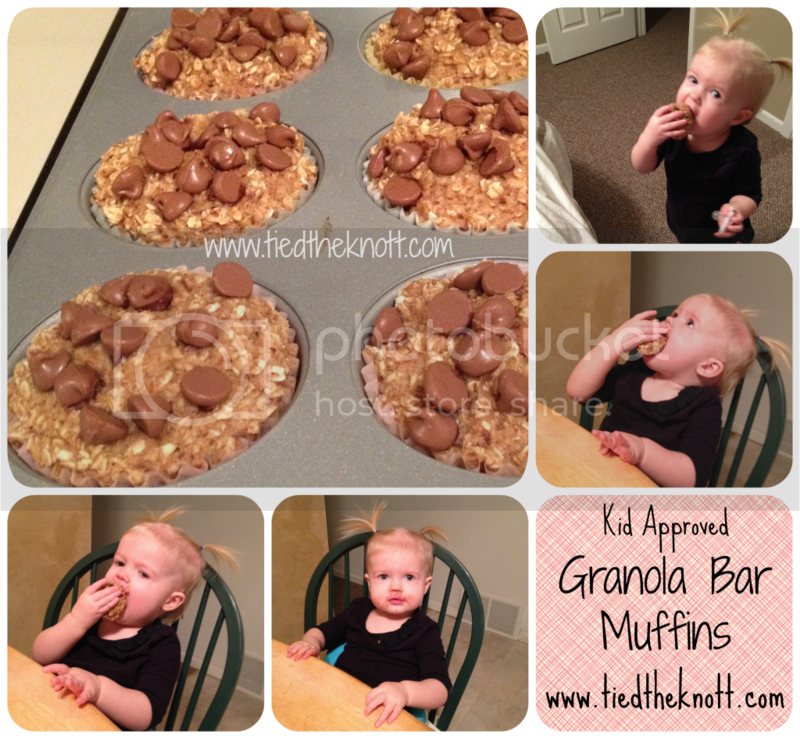 These turned out so delicious AND Kylie scarfed one down this morning so I would call that a double win. They are super easy and I made some slight modifications from a recipe I found somewhere on Facebook so bear with me. Makes about 2 dozen. 144 calories per muffin. In a large bowl, whisk together the eggs, vanilla, applesauce, banana, stevia, flax, cinnamon, baking powder, and salt. Mixture will be creamy. Slowly stir in the milk and finally, fold in the oats. Place liners in two muffin tins. 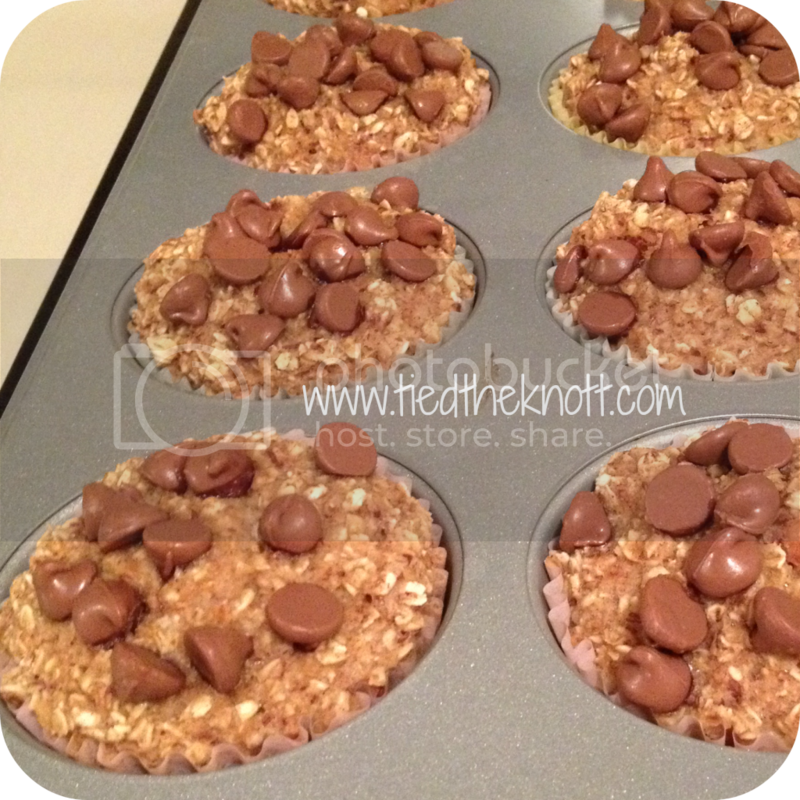 Fill cups evenly (will be about to top of muffin pan holes (is that the technical way to say it??)) and sprinkle chocolate chips on top. Bake in a 350* preheated oven for 30 minutes or until a toothpick inserted in the center comes out clean. You'll want to keep them in an airtight container in the fridge OR freeze them. These look so good! And simple! My kind of recipe! yum ....i think i have everything to make these! I would love to share one of your recipes on my Meatless Monday posts. Hey Lady Do you mind if I share share these on my blog tomorrow for "Meatless Monday"?